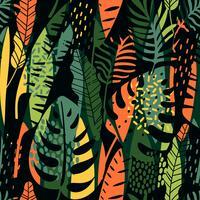 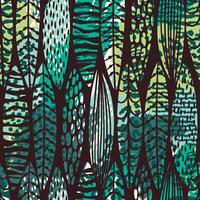 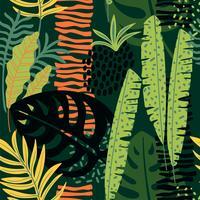 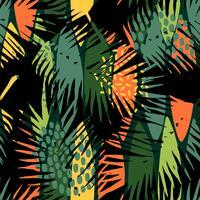 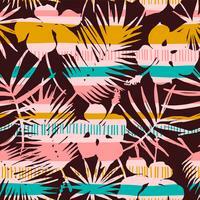 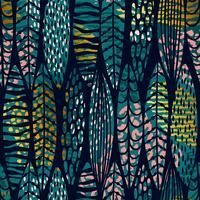 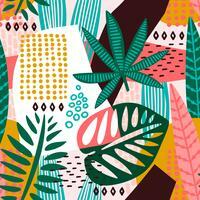 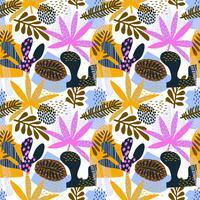 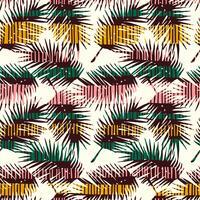 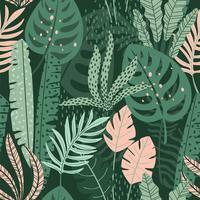 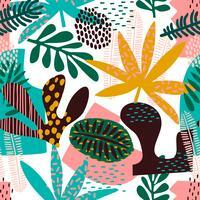 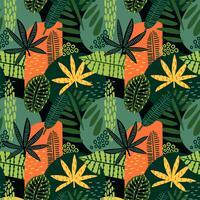 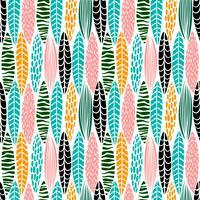 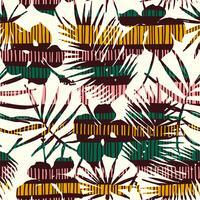 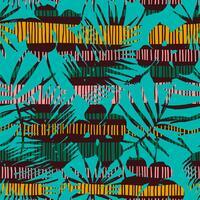 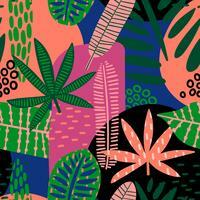 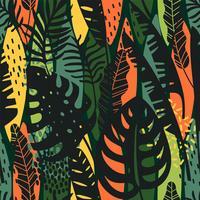 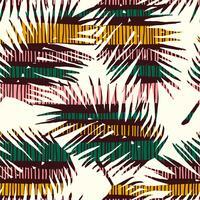 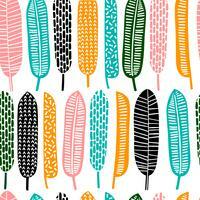 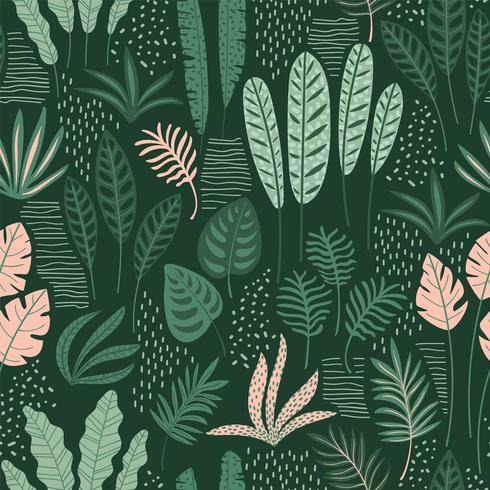 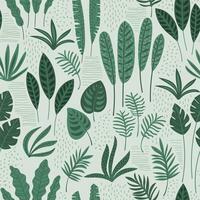 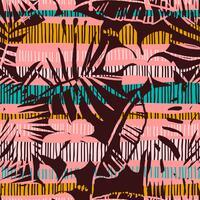 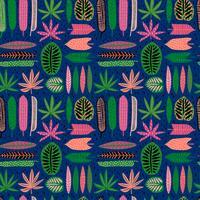 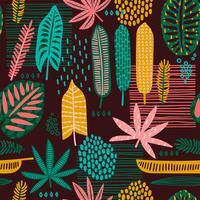 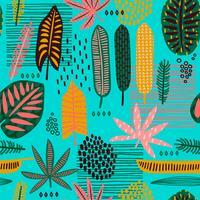 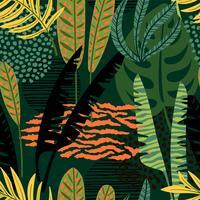 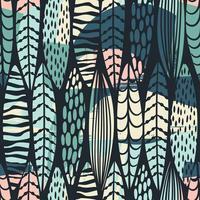 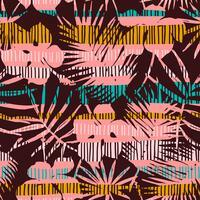 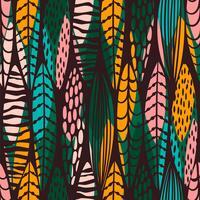 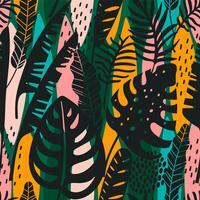 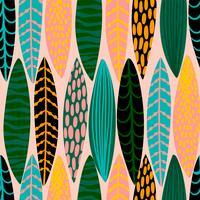 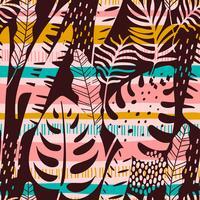 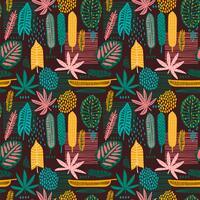 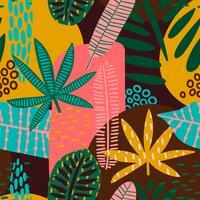 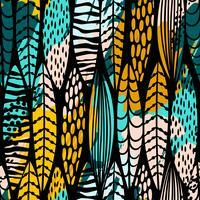 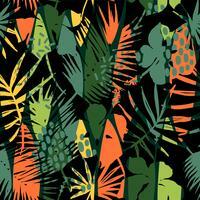 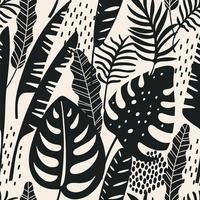 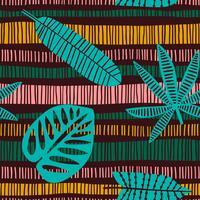 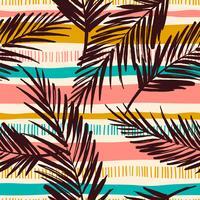 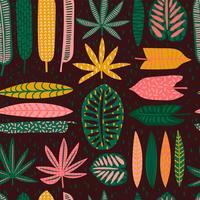 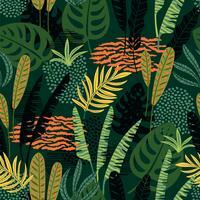 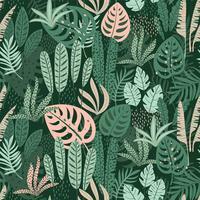 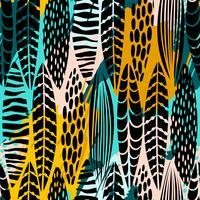 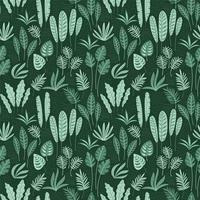 Abstract seamless pattern with tropical leaves. 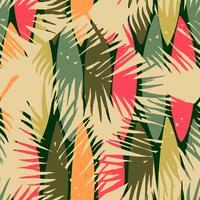 Hand draw texture. 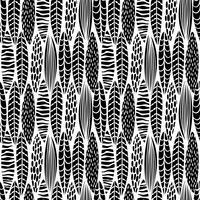 Vector template. 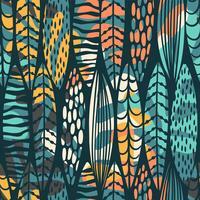 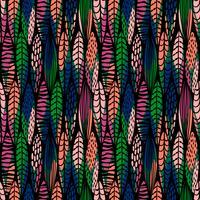 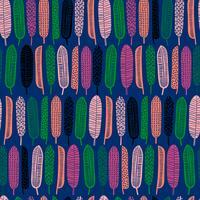 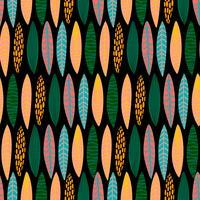 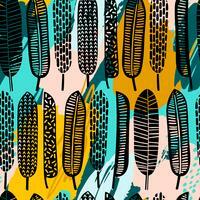 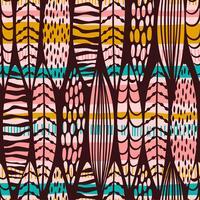 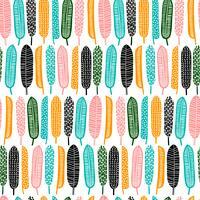 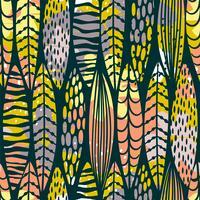 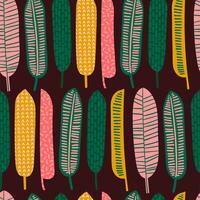 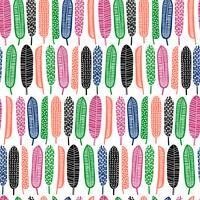 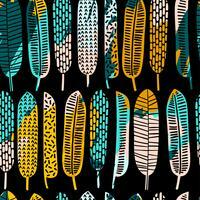 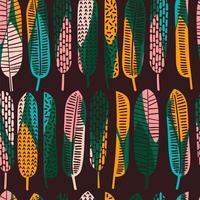 Tribal seamless pattern with abstract leaves. 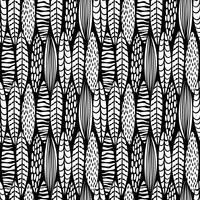 Hand draw texture.